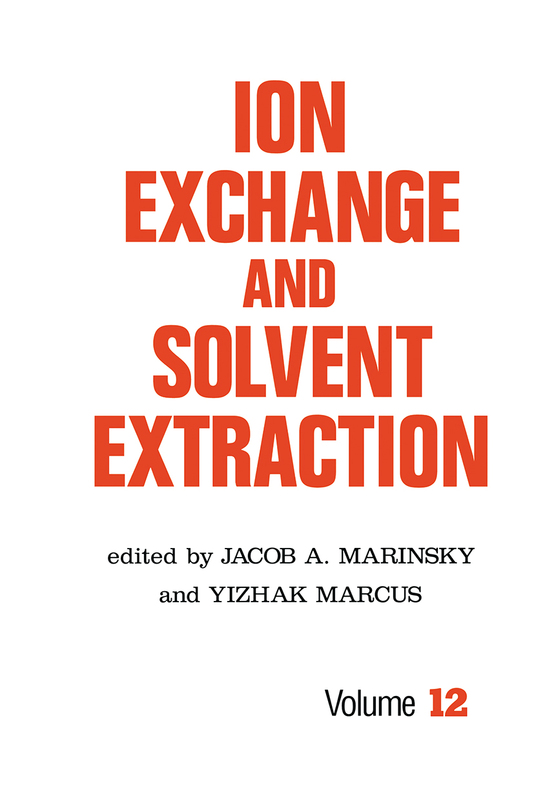 The Ion Exchange and Solvent Extraction series treats ion exchange and solvent extraction both as discrete topics and as a unified, multidisciplinary study - presenting new insights for researchers in many chemical and related fields. ;Volume 12 contains coverage of: the nature of metal-ion interaction with oppositely charged sites of ion exchangers; high-pressure ion exchange separation of rare earth elements; the commercial recovery of valuable minerals from seawater and brines by ion exchange and sorption; the kinetics of ion exchange in heterogenous systems; the ion-exchange equilibria of amino acids; and more. ;The work is intended for analytical, co-ordination, process, separation, surface, organic, inorganic, physical and environmental chemists, geochemists, electrochemists, radiochemists, biochemists, biophysicists, hydrometallurgists, membrane researchers and chemical engineers. "This volume continues a tradition of excellence established in the first volume. . . Each chapter describes in a thorough manner the aspect of ion exchange described in its title and is well worth investigating by those interested in the physical chemistry of the ion exchange process. " High-pressure ion-exchange separation of rare earths; ion exchange in countercurrent columns; recovery of valuable mineral components from seawater by ion-exchange and sorption methods; investigation of intraparticle ion-exchange kinetics in selective systems; equilibrium analysis of complexation in ion exchangers using spectroscopic and distribution methods; ion-exchange kinetics in heterogeneous systems; evaluation of the electrostatic effect on metal ion-binding equilibria in negatively charged polyion systems; ion-exchange equilibria of amino acids.